Most people don’t think about an HSA, or Health Savings Accounts, like a savings account. Instead, they think of it as an account where you set aside money to spend on health care items during the current year. That view needs to change. An HSA can be a great addition to an IRA or 401(k) plan, and if funds are limited it might be better to contribute to an HSA instead of the IRA. Here’s why. An HSA account is like an IRA on steroids. With a traditional IRA or 401(k), if you are eligible, you get a tax deduction for the amount you contribute to the plan. The money grows tax-deferred, and then you pay taxes when you withdraw it in retirement. With an HSA, you get the same tax deduction when you contribute money, but when you use the money in your HSA for medical expenses and qualified health insurance premiums, it comes back out tax-free. Where else do you get to contribute tax-deductible dollars and withdraw them tax-free? Nowhere else that I know of. Health insurance premiums and medical expenses of some kind are a certainty. Why not pay for them with tax-free dollars? Prior to age 65 HSA funds cannot be used for health insurance premiums but can be used to pay for qualified medical expenses such as co-pays, deductibles, dental care, etc. After age 65 HSA funds can be used to pay for health insurance premiums including Medicare Part B premiums and long-term care insurance premiums. When you look at all your options and estimate expected health care costs in retirement, you'll see an HSA can offer a far more effective way to save to meet these costs than many other vehicles. There are virtually no downsides to funding an HSA instead of an IRA. If you don’t need your HSA funds for medical expenses or insurance premiums then after age 65, you can use the money just like funds in your IRA or 401(k). You will pay taxes on withdrawals that aren’t used for medical reasons, but after age 65, no penalty tax. The primary difference is the age at which no penalty tax applies and the amount of the penalty tax. With an IRA after age 59 ½ funds are available with no penalty tax. With an HSA, funds are available anytime for qualified medical expenses, but if used for other reasons a 20% penalty tax applies until you reach age 65. After 65 no penalty tax applies on withdrawals regardless of what they are used for. Deductible contributions if you are eligible. Penalty tax can apply to withdrawals that don’t follow the rules. Money can be used at any age for qualified medical expenses and is tax-free when used for this reason. 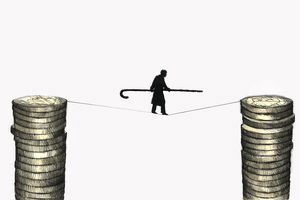 For withdrawals that are not used for medical reasons, a 20% penalty tax applies up to age 65; With an IRA, it is a 10% penalty tax and it disappears at age 59 ½. Must have a qualified high deductible health plan to be eligible to contribute to an HSA. Contribution limits are lower than for an IRA. HSAs have no required minimum distributions while IRAs do. Fund my 401(k) plan to take advantage of any employer match. Use any savings above the match amount to fund an HSA account. Use savings above that to fund a traditional or ROTH IRA, or use for additional 401k contributions. HSA funds cannot be rolled into an IRA account. Nor would there be any reason to do this. With the HSA you preserve your right to use the funds tax-free for medical expenses. If they could be rolled to an IRA, this option would disappear. There is a tax rule that allows a one-time tax-free transfer of funds from your IRA to an HSA. This is not like a rollover as it counts toward your annual HSA contribution limit. It does allow you to move a small amount of money from an IRA where you would have to pay taxes on withdrawals needed for medical expenses to the HSA where withdrawals for such purposes would be tax-free. Want to open an HSA account? Contact your insurance agent to see if you can get a qualified high deductible health insurance plan, then check out this list of HSA providers.